Without wishing the Summer away we know that all of the customers will be hoping for rain over the Summer as the weather plays havoc with indoor play centres. This is the perfect time of year to plan for the hectic months ahead once the Schools return and Benjo Bags can help in more ways than one. 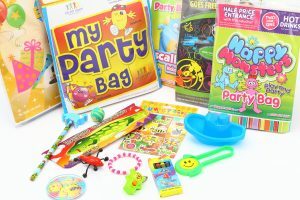 Are your party bags branded with your company logo and company colours? If not, why? Having your branding on a party bag is a must; it is a marketing opportunity not to be missed. Each party is showcasing your company to new potential customers if their son or daughter has a fantastic time you can be sure they will want to return. 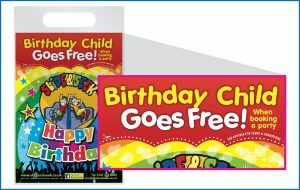 We have put a unique twist on a traditional party bag and created a fantastic party bag that is also a great marketing tool. Do your current party bags give you a Return on Investment? If not, why? Our party bags are so unique that we can say they are the only party bags on the market that give our customers a ‘Return on Investment’. 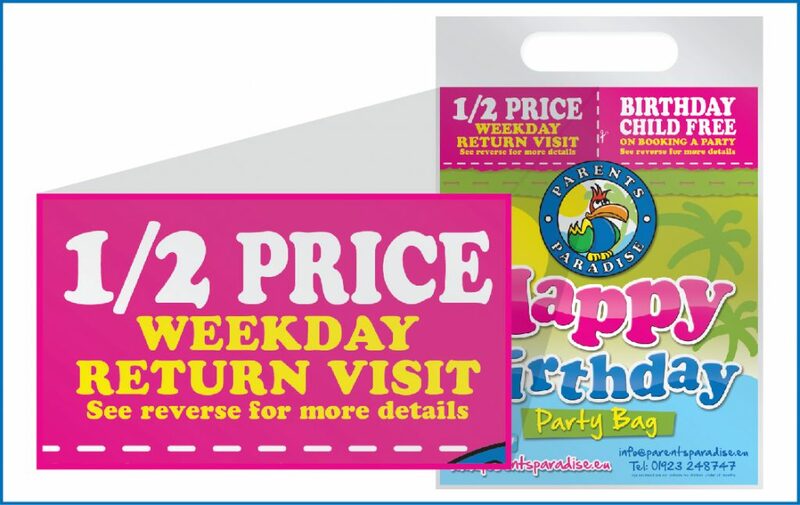 Our customers have benefited from driving sales and return business using the voucher code area on our party bags. This voucher area can be used at different times of the year to link in with other marketing or to just boost sales or footfall during off-peak times. The voucher code can be changed as often as our customers like so that the right vouchers are in place all year round. Do your staff pack your party bags? If yes, why? Take the pain out of organising the packing of your party bags and let us deliver in the quantity you require when you require them. Removing the tasks of ordering toys will save time for your staff to concentrate on more important tasks. Why store toys all year round? Free up that storage space and save buying in bulk not to mention freeing up cash flow. We can pack and complete orders in short lead times, rotate an agreed toy list so that the children are receiving a different toy selection when they return for other parties. How often do you change your party bags? If not why? We can create different designs for different times of the year, what better way to keep you party bags looking fresh is to change the colour or design throughout the year. There are no high minimums so you don’t have to buy in bulk either. At Benjo Bags we have ‘Bags of Ideas’ that can be included in your party bags and because our party bags are unique to each and every customer they can be tailored and changed to meet your business requirements. We believe Benjo Bags are the perfect party bag solution on the market. 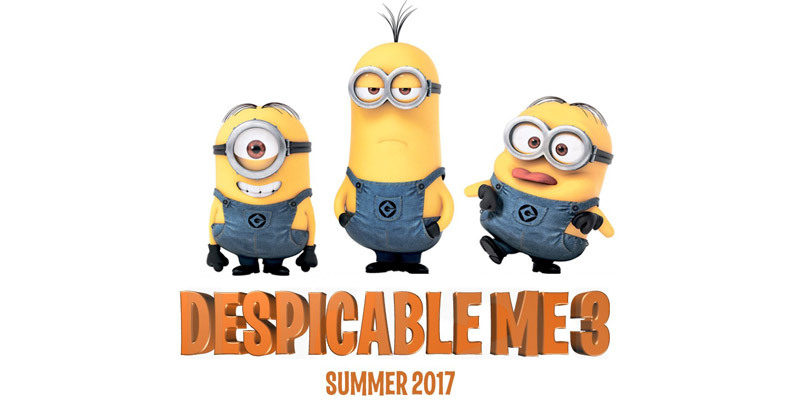 July brings us the yearly competition of who will take the title of ‘Summer Movie Blockbuster 2017’ and this year we have three heavyweight contenders with Cars 3, Despicable Me 3 AND Spiderman Homecoming! Who will win the Summer Movie Blockbuster title? 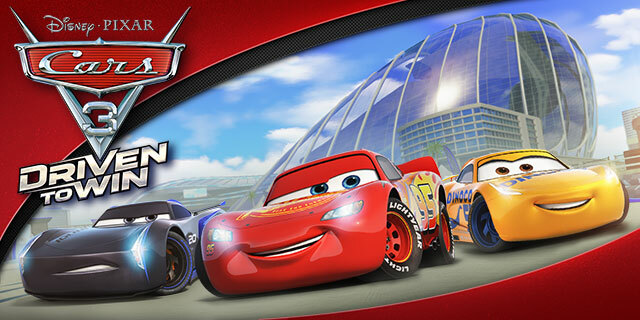 Just as you think that Cars as a party theme has run its course Lightning McQueen returns with his friends in the third instalment. Check out the official trailer HERE to give you a taste of what’s in store for the latest racing adventures. With Disney / Pixar, you know that it is going to be a classic and one for all the family to enjoy. If it’s a laugh out loud family film you are after then Despicable Me 3 ticks all the boxes. If Gru and the Minions weren’t enough then Dru (Gru’s twin brother) and the dancing villain Balthazar Bratt will definitely have you in stitches. Universal and Illumination will definitely be giving Disney / Pixar a run for their money! You can be sure that there will be an influx of yellow Minion themed parties throughout the summer. For the slightly older children, Spiderman Homecoming sees the long awaited return of Spiderman. With Disney’s success already cemented with the Avengers and Marvel spin-off films, they are introducing Spiderman for the first time under their safe wing. It doesn’t look like it will disappoint too! 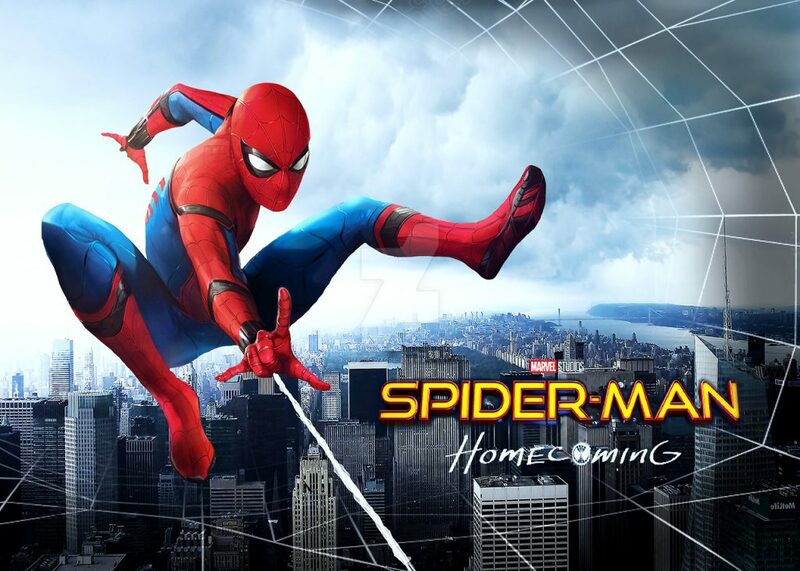 Catch the Superhero’s Homecoming Trailer Here! This all action superhero film looks amazing and we are sure that Spiderman will be a big party theme for the next few years. All of these films will drive business from cinema ticket sales to toy merchandise. As a party venue, you can benefit too, adding theming to your parties can add value and give you a point of difference. Benjo Bags have worked closely with our customer to create the right birthday party packages which can include licenced themes. Whether it’s Cars 3, Despicable Me 3 or Spiderman Homecoming we can supply you with the perfect party theme supplies to make your summer parties bigger than ever. From plates, cups, napkins, table covers to banners, balloon and scene setters Benjo Bags can supply it all and in the quantities you require. Increase your party potential by offering theming is a great way to keep your party packages fresh, let’s not forget that Christmas is creeping up on us and the next instalment of the Star Wars will be released, so do not miss out on party theming! It looks like I will be spending most of the July weekends in the cinema but with these three summer blockbusters, I cannot wait. to find out more and how he can help your business, call today on 0844 477 4944. When I first launched Benjo Bags five years ago, the ‘party bag’ market was very confused. There were a lot of businesses out there some doing it well and others not so well. I was surprised at how rigid it was; “you can have a box of this or nothing” or “we don’t have that but you can have this”. So, I put a lot of thought into the model of re-sealable, changeable, low minimums and bespoke items but not top-end bespoke, I just tailored to what the customers actually wanted. The thing is next week’s delivery might be entirely different to this week’s. A lot of children go to several parties a year and if they are getting the same goodies in their party bags they won’t appreciate that. There was also an obvious opportunity to use voucher codes more, to drive footfall and secondary spend for our customers which are very popular. Branded party bags; to my mind, anyone who offers parties should be using branded party bags in some form. I believe our solution ticks a lot of the boxes for both the larger player, multi-site operators and smaller independent single-site operators. That’s still the lead of the business, the model is still the same and we have the voucher codes on the bags, which come pre-packed with toys at a budget that is matched to the needs of our customer. That’s how we are introduced to most of our customers. Tailored party supplies for their package. So, to work with the customer to draw in effectively their costs and develop a model with them, depending on how far they want to go. You find that most sites would have ordered Spiderman, Peppa Pig and Marvel but then had overs and unders and be left with stock. I found a way to try and combat by going a lot more generic with colours. If you’re running a ‘Marvel’ themed parties, you go with a lot of reds and blues and pick out those colours, add in some Marvel balloons and a banner. But you don’t buy Marvel throughout because it’s more expensive. You may have to buy in larger volumes than you require and you can still create a fantastic looking party without having to go down the themed licenced route. We have set this up with a lot of customers and worked on package sizes related to their numbers and the volume they can hold, not what we say they must buy. Obviously, at a lot of play centres, space is taken up with footfall and not storage space, so we try to break it down so they can order in smaller amounts, more regularly and at a reasonable price, and that they have it when they need it, not in case they need it. Purchase Order System; If a centre has a Purchase Order system, we are offering a solution that we can either link into via our system or run through their own, so we can create a standardised shopping list. Instead of running down to the supermarket on a Friday evening to buy plates expensively for a party on Saturday, they are actually looking at a list of prices that has been agreed between us and the owner, that will not outweigh their budget or require them to buy in large quantities above what they need. Very much like the favourites in a supermarket online shopping experience, this tick list that we create can go onto the customer’s system, they just log on at their end tick off what they need and an email comes through to me. The cost is also agreed, they don’t need to worry about that – all they are doing is raising the PO and knowing that the price has been pre-set gives them a bit more flexibility than having to shop around for prices and check everything off against a budget. Even though we’re in parties, we’re still talking to business owners and corporates, we don’t need to be singing and dancing about Peppa Pig and things like that, it’s more about what our products can do for them as a business and the relationship we have with them. If you’d like an informal chat with Neil to find out more and how he can help your business, call today on 0844 477 4944. 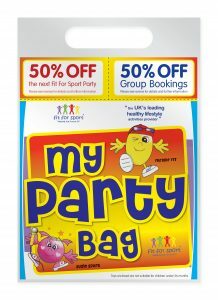 Our party bags offer a unique opportunity to market and promote our customers business. Our customers have all benefited from using voucher codes, they are a fantastic way of driving sales, increasing footfall and promoting new offers. Which is why you should be offering your customers voucher codes. Why are Benjo Bags party bags so unique? The design of our sleeve creates voucher code areas at the top of both the front and back sleeve to communicate your offers to your existing and potential customers. A voucher offer can easily be changed and adjusted to match our customers’ current marketing plan. This ensures the vouchers are giving our customer the best opportunity for a return on investment. For example, during the winter months, our customers can target the vouchers to increase secondary spend within their business. Footfall is always higher due to the English weather and need for indoor entertainment. So, you can capitalise on this by creating an offer for within your café, for example, this always works well and increases profit. During the summer months when footfall can decrease due to so many outdoor activities being available and the warmer, dry weather the offers can be changed. There is a big need to drive customers back into our customer’s venues. A discount on entrance has proven to be a great incentive when our customer venue may be quieter. 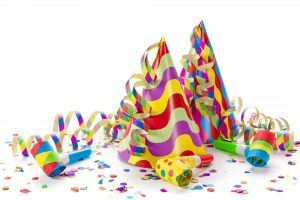 As children’s parties are such a key element to soft play centres it goes without saying that most of our customers like to include a party offer from time to time to keep their party bookings full. 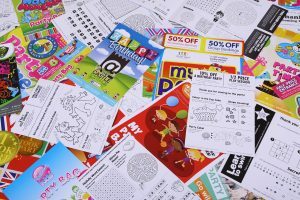 What are the main reasons to use voucher codes? Also, if parents have picked up their child who comes home with a party bag that contains a unique voucher and it’s their child’s first visit and they are all excited, telling their parents how much they loved the venue – what is that parent likely to do? Exactly – they will be encouraged by your ‘call to action’ of redeeming their party bag voucher code, by booking a party for their child. call Neil today on 0844 477 4944 or email us with your requirements.